You know I love letters. 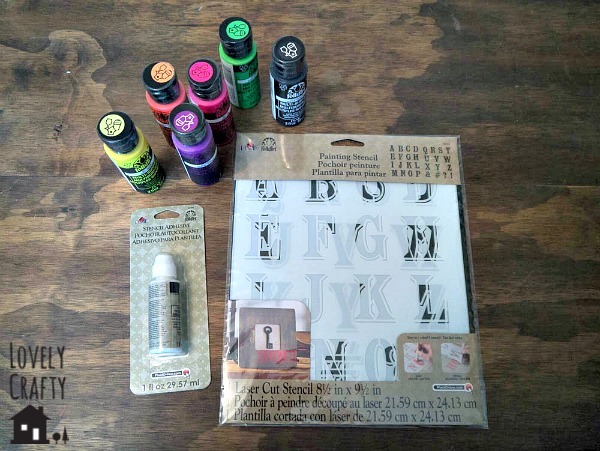 So when I received a surprise craft box from FolkArt Stencils & Paints and it included a letter stencil, I thought of all the things I could monogram (of course). Everything I got can be found at your local Michaels store! But ultimately, I decided to try something different and actually spell some words…more than just the letter “E.” I know, it’s crazy! A few weeks ago I was in our new Whole Foods market and took a photo of the store. Well, Whole Foods saw it on Instagram and asked for my permission to share it. 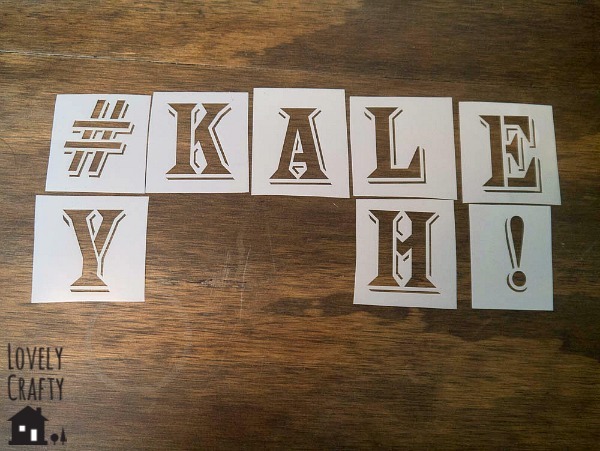 In order to give my permission, they asked me to respond with #kaleyeah. I obviously thought that was hilariously clever and have been obsessed with the phrase ever since. 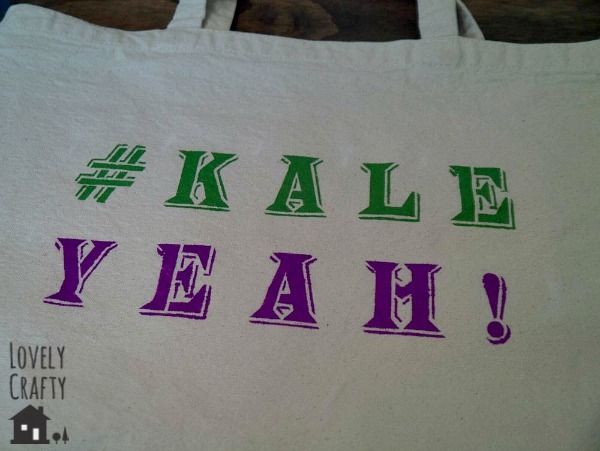 I was considering putting it on a t-shirt, but then I had an even better idea…a tote bag for grocery shopping! 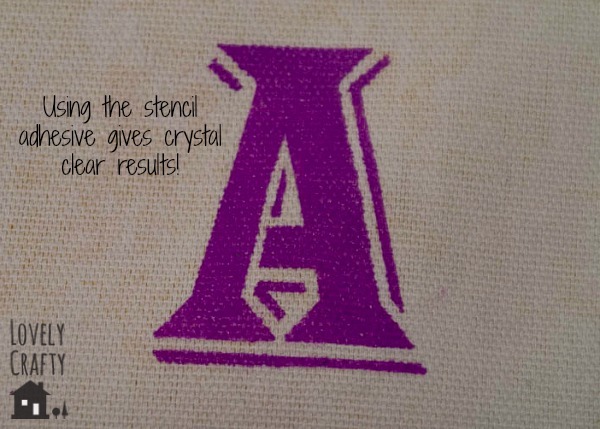 I picked up a simple canvas tote bag from the craft store and readied my FolkArt stencils. 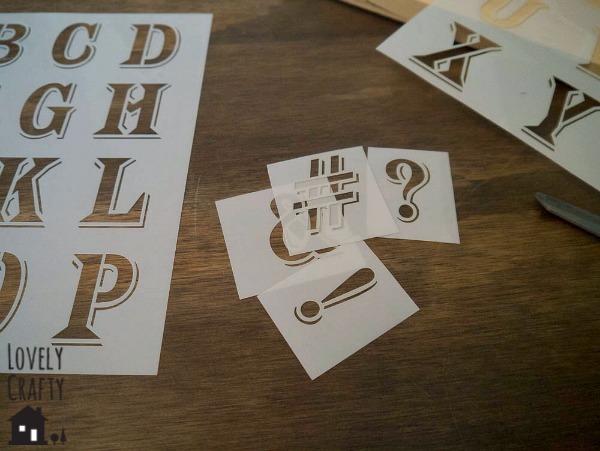 First, I cut the sheets of letters into single letters. I think it’s easier to use them like this, but just be careful when you cut if you decide to try this also. 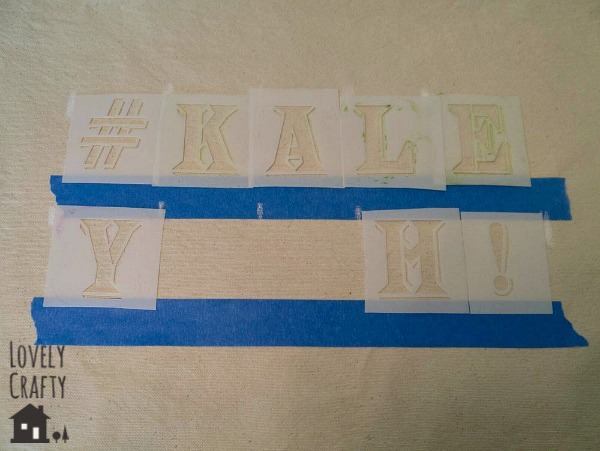 Then, I laid out the stencils to get an idea of the size and spacing of the letters. Just pretend there’s an extra “E” and “A” 🙂 I did a practice run, mainly because I’m generally terrible at stenciling but also because I wanted to see how the FolkArt Stencil Adhesive worked. At first I didn’t use enough adhesive. You want to make sure you put it on all the tiny parts of the stencil, not just the edges to hold it in place (my mistake!) I tried the “A” again, since it seemed to give me the most trouble. Then I was ready for the real deal. I washed and dried my canvas tote, then ironed it because it ended up super wrinkled. You really want to have a nice flat surface to start. I used painter’s tape and some chalk to mark where I wanted each letter. Then I took a deep breath and got to work with flat sponge brushes. One letter at a time, removing the stencil immediately after completion. 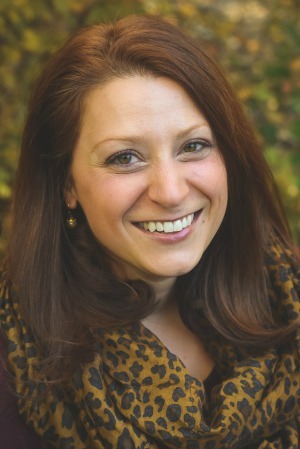 Here’s the result! I love it!! 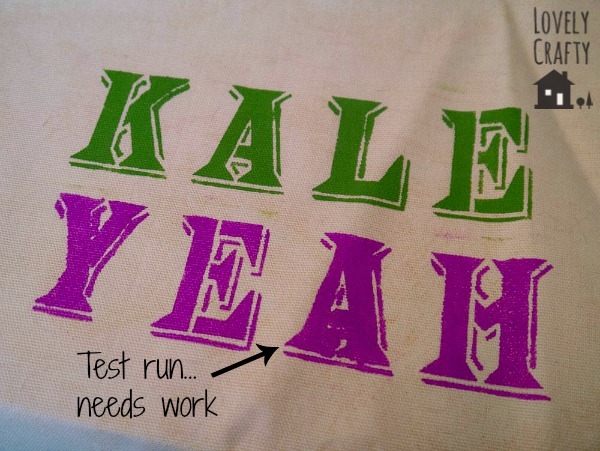 It looks totally rad (well, in my opinion), and I can’t wait to use it the next time I’m shopping. 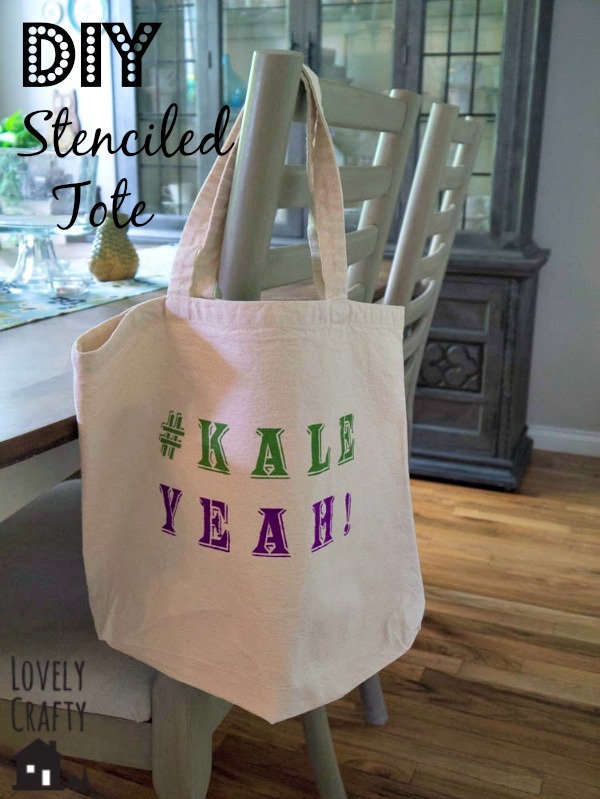 To get more FolkArt Stenciling ideas, check out their awesome social media channels: The Plaid Palette Blog, Pinterest, Facebook, Instagram, Twitter, YouTube, Google+, and don’t forget to get updates from their newsletter! 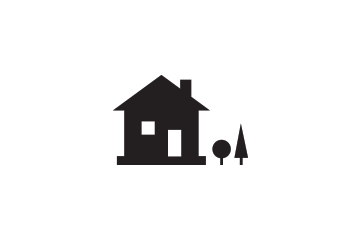 In order to support my blog habit, I have received compensation and/or product for this post. Please see my full policy for more information. All opinions are 100% mine.